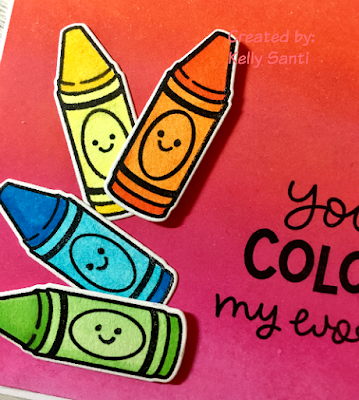 Today is National Crayon Day! I am no spring chicken 29 again (a-hem!) 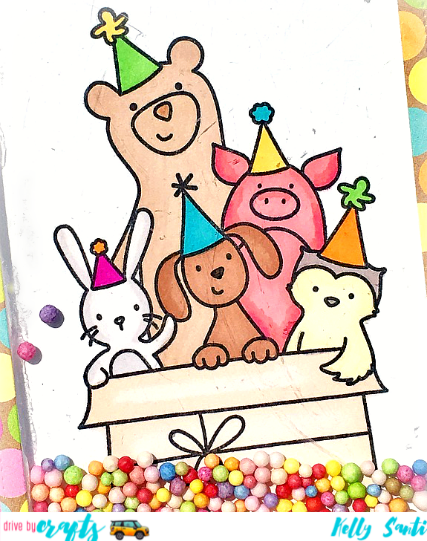 and still love to color with crayons! 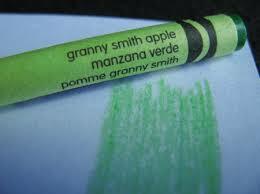 of crayons, and not even gonna fib, I love the smell! or back to school sales because, yes! I still color with crayons! And my daughter is a teacher - there's ALWAYS a need. Here are some fun Crayon Facts! 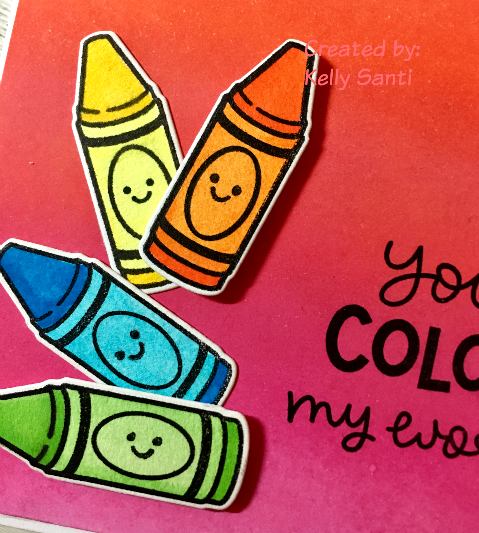 The smell of crayons is the 18th most recognizable scent for adults in the U.S. The 100-billionth crayon was made by Fred Rogers of Mister Roger’s Neighborhood in 1996.
and I bought it late last year just to use for National Crayon Day. 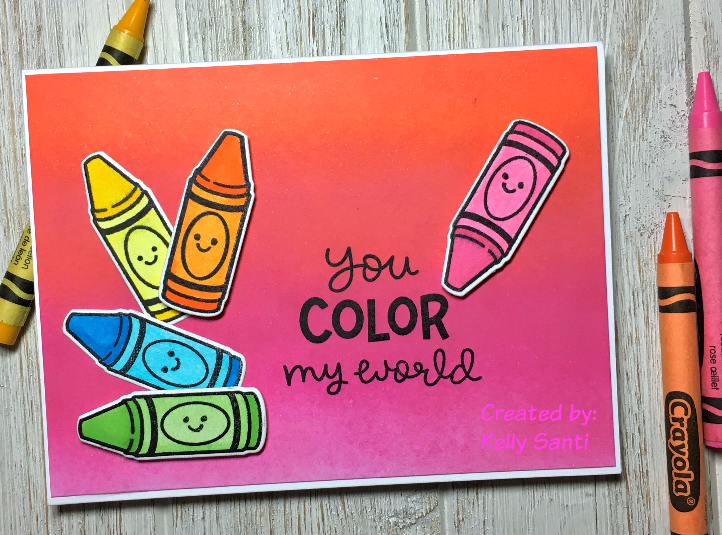 so I used one of those for the colorful backdrop for the crayons. and a couple of them are popped up on 3d foam for added dimension. Mine is granny smith apple! My birthday was this week and it's been WONDERFUL! I thought why not host a giveaway! 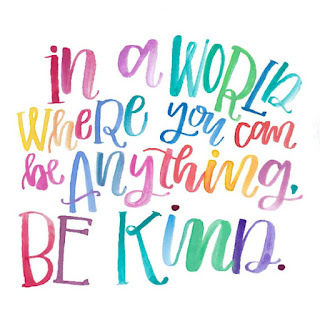 This is my year of #kindness ~ I'm passing it on! Wishing you a weekend of beautiful things! for the sole purpose of this giveaway. the more entries, the higher the chance! *Winner will be announced 4/8. *This contest is open worldwide. 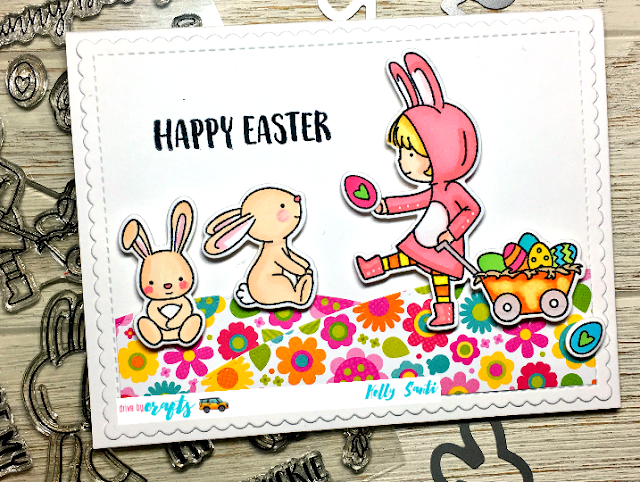 Today I have a fun-fold card for the CCEE Stampers challenge. Design Team as my 3 month term has come to an end. 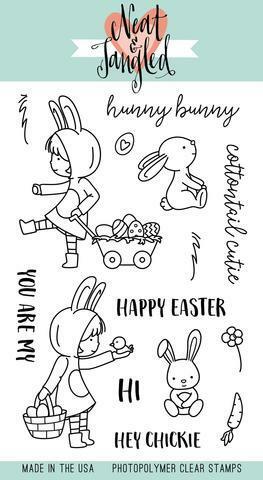 and I know I'll continue to be a customer ~ I hope you will be, too! 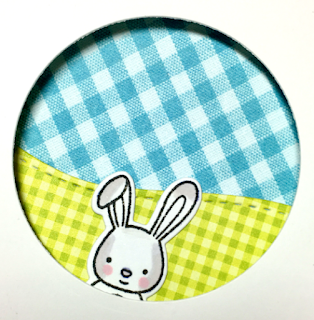 My card today is a pretty Peek-a-boo surprise inside Porthole card! the adorable Cottontail Cuties stamps and dies from Neat and Tangled. 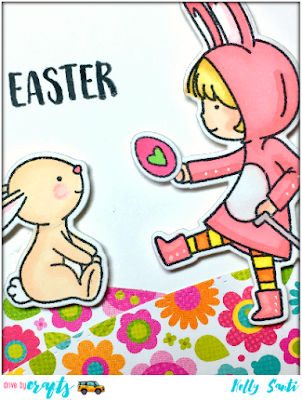 to make a few more cards! as if they were peeking from the sides of her. created from a circular punch or you can easily use your circular dies, too. I stamped the sentiment to the front panel and onto the dsp on the inside. or more details about Drive By Crafts on the blog. out on upcoming sales, new arrivals AND awesome discounts! The clearance section is amazaing! what super fun folds the girls made this week! DBC ~ You Make My Heart Melt! 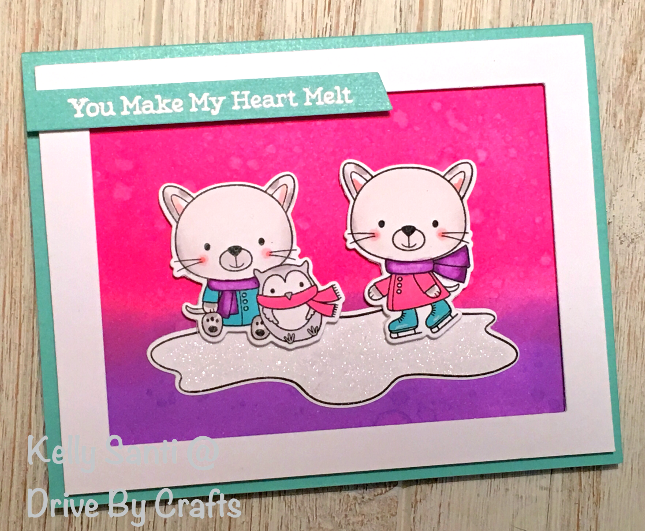 I used the You Make My Heart Melt stamp from the My Favorite Things stamp selections and stamped those out with Brutus Monroe Raven ink. Oh I love this ink! So crisp and clean and spot on! but remember, you don't need the dies - just fussy cut your images! I colored the images and then set them aside to work on my background. I knew I wanted pinks and purples as a background. and Ranger Archival Ink is Magestic Violet. until the entire A2 size cardstock was covered and put it aside to set. so I added clear Wink of Stella to the image - instant ice skating shimmer! and thinking outside the box ... or outside the frame! and used the outer area that looked like a window box frame. So I basically kept the part you toss and tossed saved the part you keep! I added Scrapbook Adhesives 3D foam to the under side of the white A2 size frame and inverted it and attached that to background to frame it out. I repeated this with the kitties and the owl - popped up on 3d foam for dimension. background. It breaks up the monotony of the background color. as well as take a little drive through the DBC store here or the blog here. it's been a fun ride! 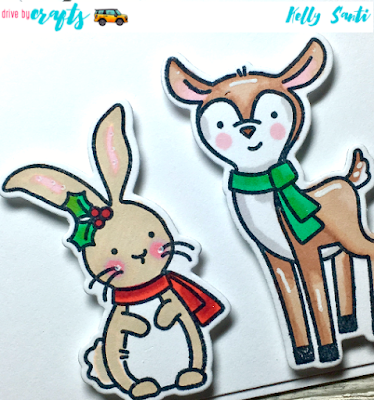 I'm playing catch up on my blog today! the routine of being home for a whole hour in the day, LOL! Where there is snow, there is FUN! 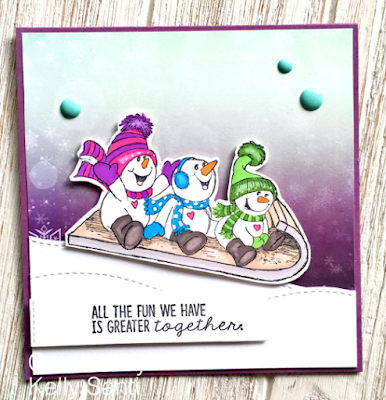 this absolutely DARLING Unity stamps called 3 Snow Buddies. I tried and tried to make a pretty card ~ I really did. 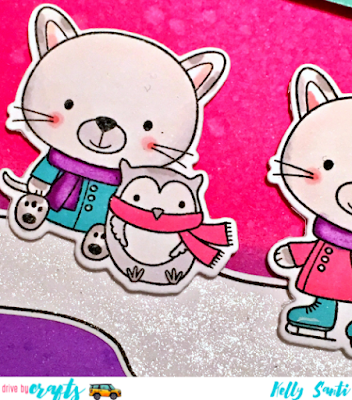 However, you will be dazzled by Barb's card and Jeanette's card! It's Monday and that means it is the day I post a card for The Project Bin. Denise has been hard at work behind the scenes creating some truly wonderful new stamp sets, like these for a quick view! and WOW! 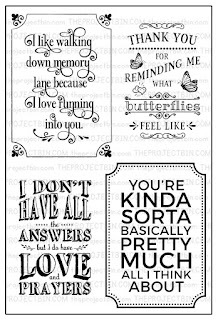 Do I ever love this font! Here's another look at the satamps! 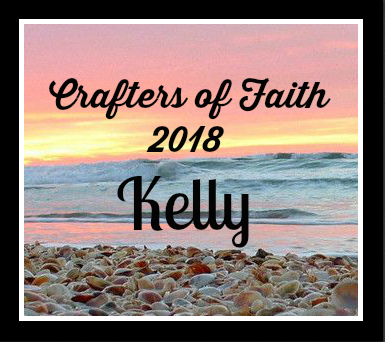 I have 2 blogs posts today! add in some winter/snow and I'm just smitten! and Drive By Crafts has quite a few to chose from. 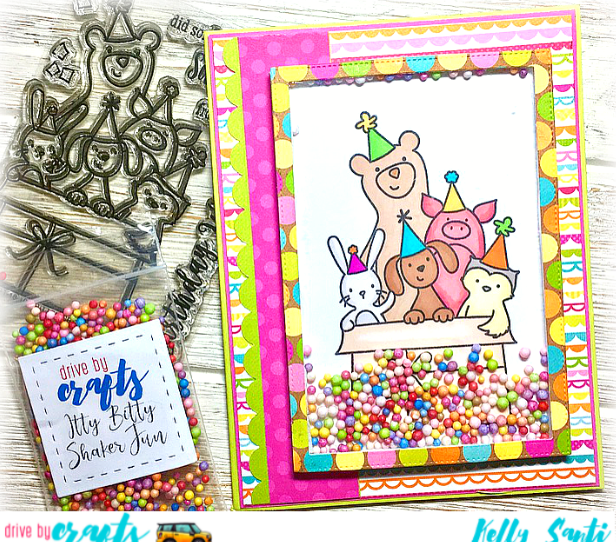 stamps and dies and this set is everything I hoped it would be and more! playfully peeking out from the birch trees to say hi on a winter day. and ran those though my die cut machine with the coordinating dies from the set. These are so nice to use and line up with such precision! Once those were all die cut, I colored each of those using soft and subtle colors for that beauty you see in children's illustrated books. 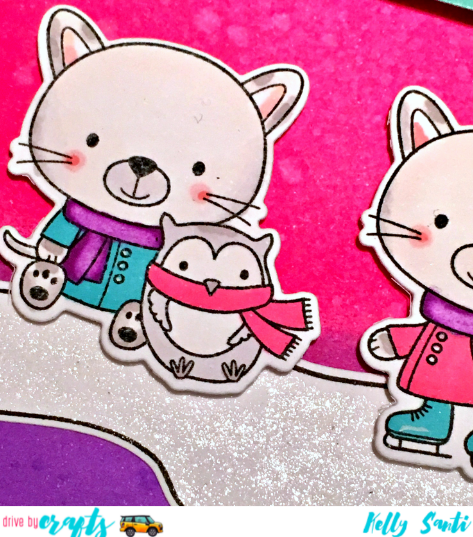 Once that was done, I simply added Scrapbook Adhesives 3D foam to each of the cut outs so the card would have a lot of dimension. 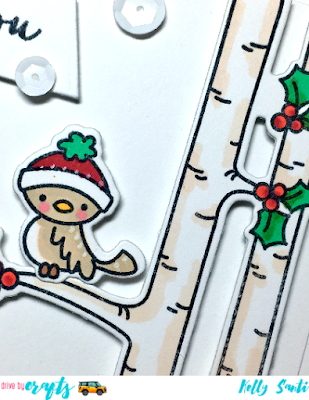 The 3d foam difference really makes your cards pop when it comes to little animals ~ it gives them great definition! and popped that up on 3d foam and sequins 'snowflakes'. Close up of the woodland cuties! I usually just let that be the focal point. 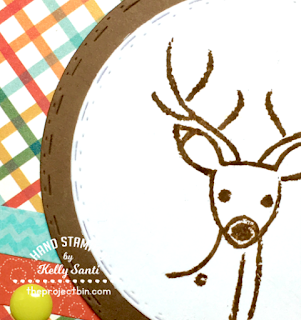 Such a fun and easy card to make with the supplies from Drive By Crafts! lifelong friendship, beautiful hearts, lots of smiles! Southern Girls - Pop it up! for my Drive By Crafts Winter Wonderland card, click here! while chatting with my daughters and planning, planning! 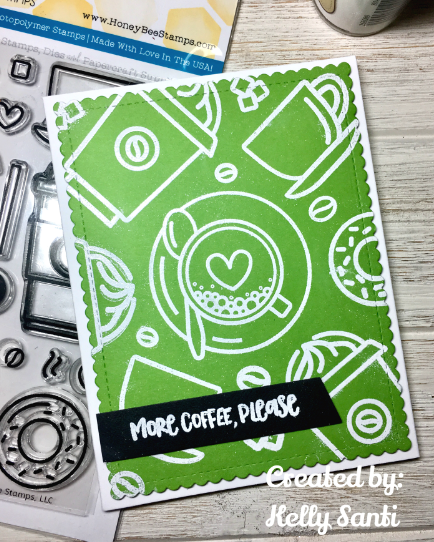 both the stamps AND the green! * Green eyes are something special ~ 2% of the world's population has green eyes, making it the rarest eye color in the world! * "It's not easy being green!" 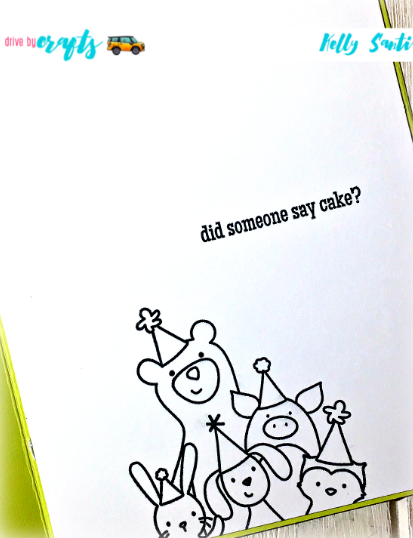 says our favorite green Muppet, Kermit! Did you know he wasn't initially intended to be a frog? His species was undetermined until Johnny Carson identified him as a frog nearly 10 years after his creation! * Green is the symbol often associated with fertilty and in the 1400's, it was the preferred choice of color for wedding dresses. with VersaMark, and then embossed with Recollections white embossing powder. focal point in the center. a low layer of 3D foam. one of my favorites! 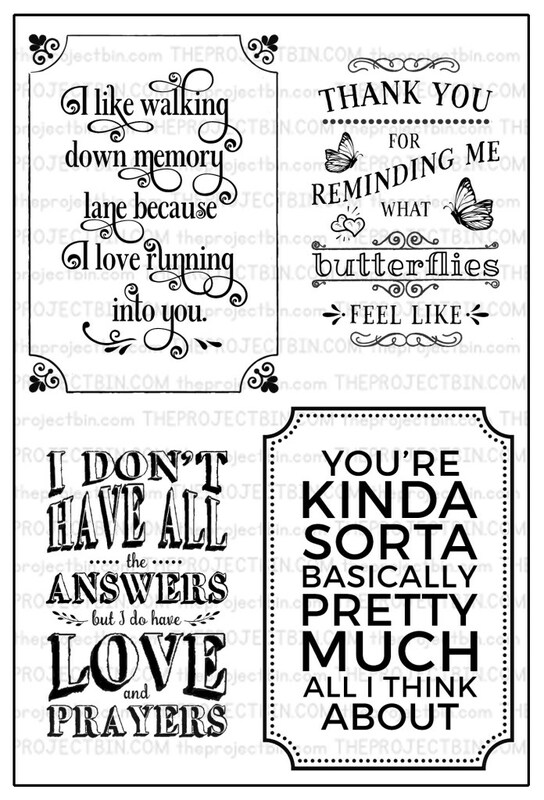 The sentiment stamps are hilarious! 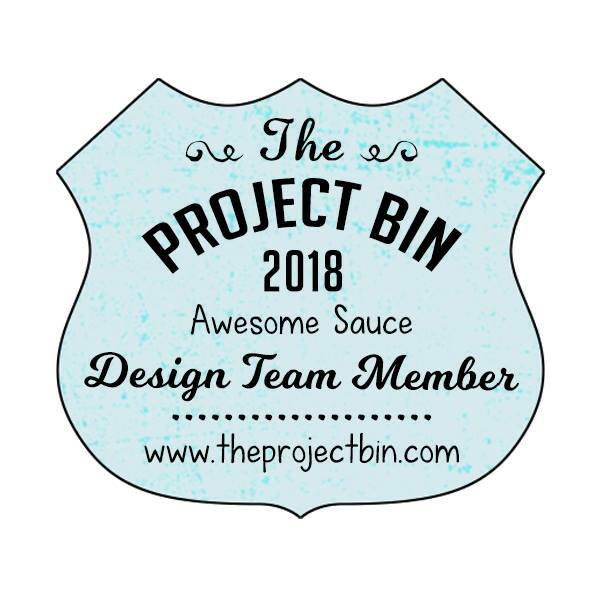 Exciting news at The Project Bin! owner and designer at The Project Bin stamps! 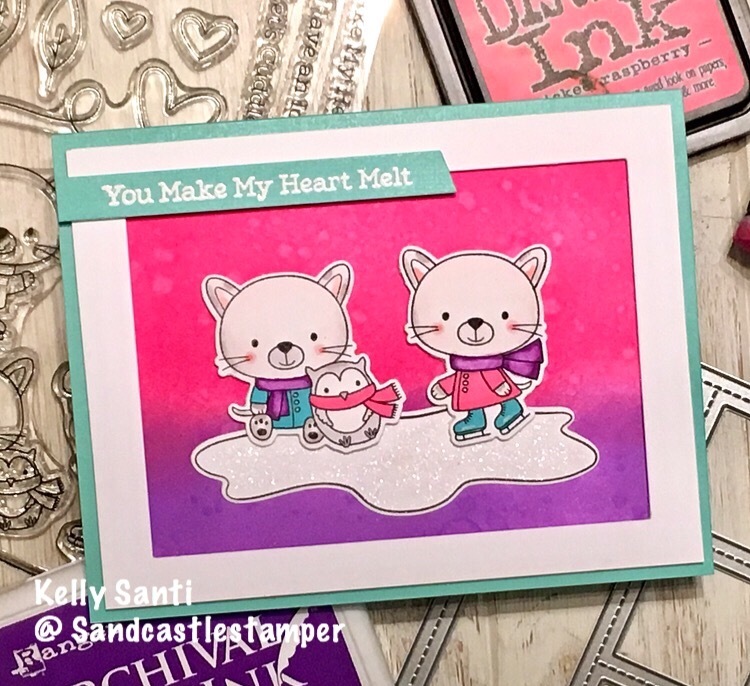 She is the Featured Stamper of the week at Splitcoaststampers! And to celebrate, Denise is sharing a sweet treat for you! 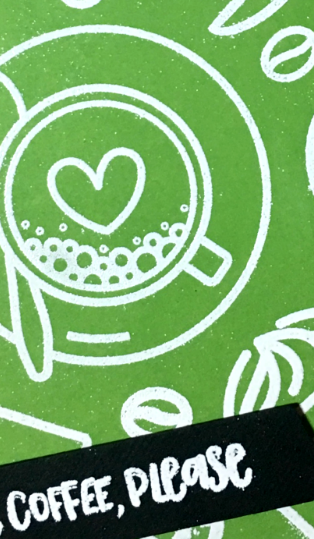 You can take 20% off the entire store this week! 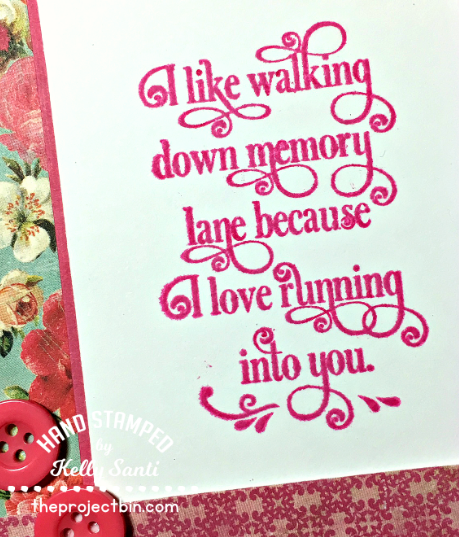 Such a great time to scoop up those stamps you've been eyeing! Denise ships lightening fast and SUPER economical, too! 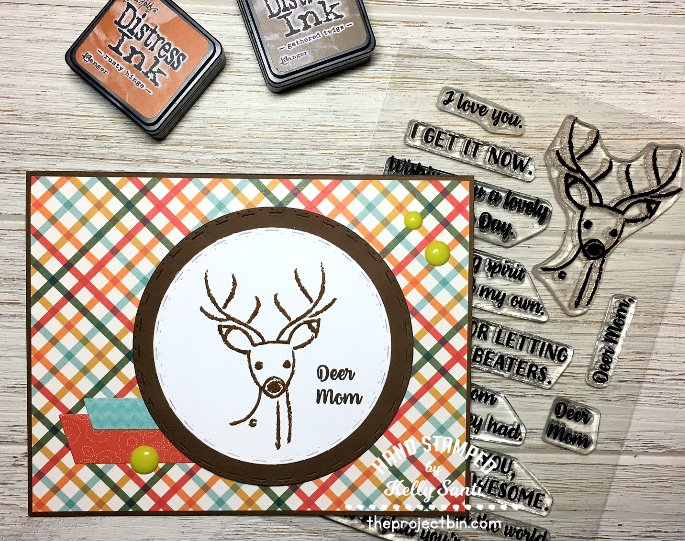 and Denise's stunning floral deer card ~ swoon! 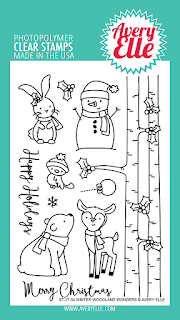 for crisp, clear stamping every time. just CASE a card from the gallery on SCS or the blog. 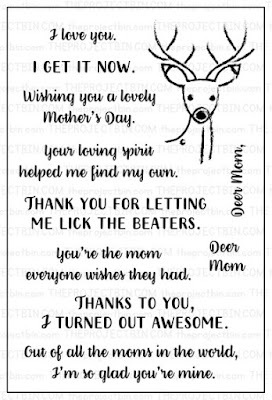 And for my friends in the UK, I know you just celebrated Mother's Day! Happy Easter with Cottontail Cuties! This is such a beautiful time of year here ~ spring is in the air! the blossom of newness and the promise of a wonderful beginning. 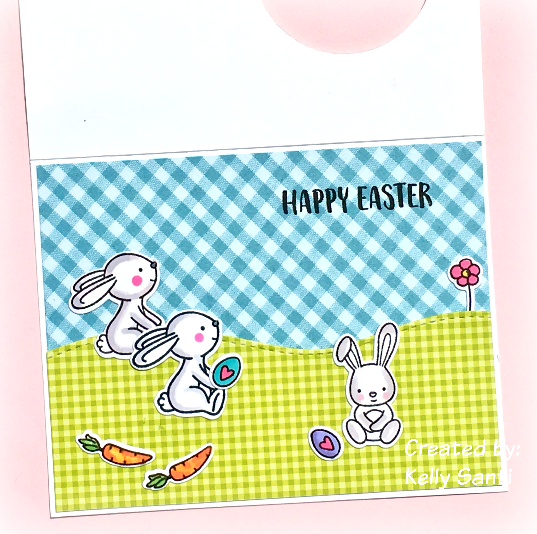 especially with the absolutely adorable Cottontail Cuties from Neat and Tangled! Oh. Be. Still. My. Heart! including the famous golden egg! Oh how they searched and searched for those prized eggs!! 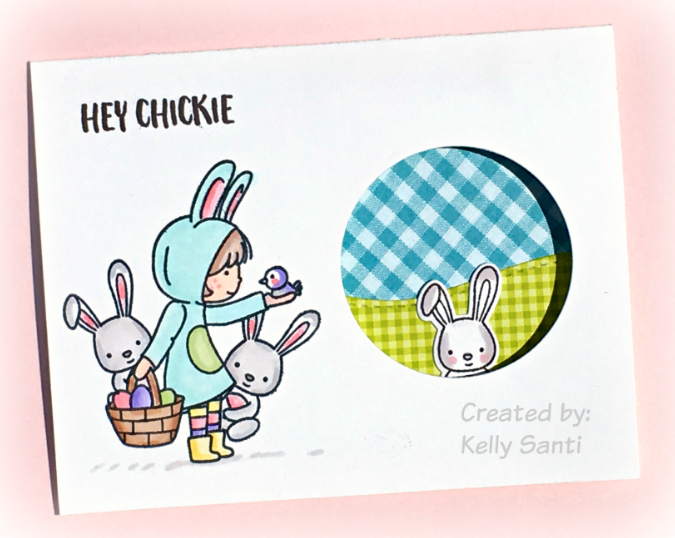 maybe the Easter Bunny will hide one this year - for moms! LOL! 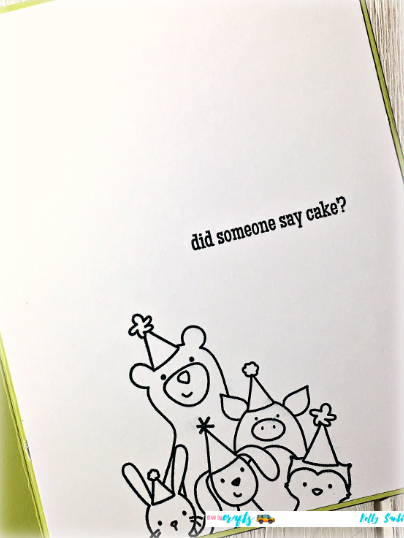 the designer paper I'd already picked out as 'flowers + grass'. 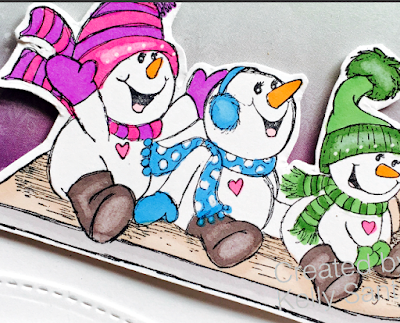 and then set those aside to assemble my card base. 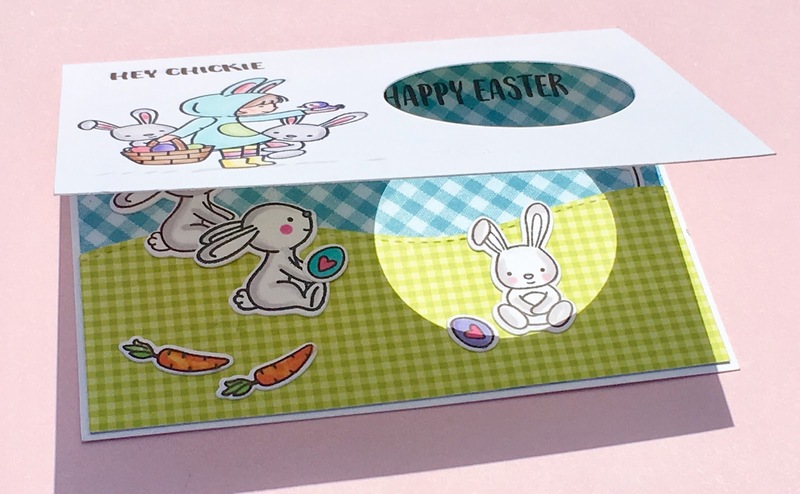 The card base is a simple A2 size card using heavy weight card stock. it just gives is such a pop! I added 3d foam behind all of the elements to make them stand out. and that's what usually catches my eye with a stamp/die set ..
in the Drive By Crafts online store! in the clearance section, too! today is National Pig Day! 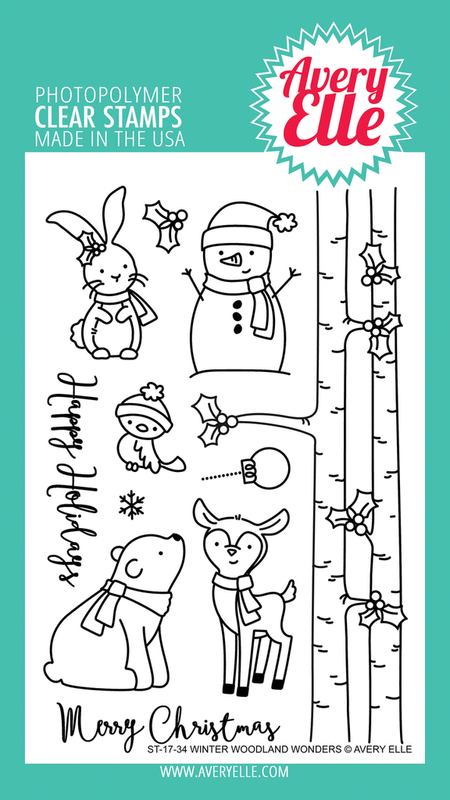 which features, among the cute animals, a pig!! * Pigs are routinely listed as some of the world's smartest animals, with cognitive abilities on par with those of chimpanzees, dogs and dolphins. 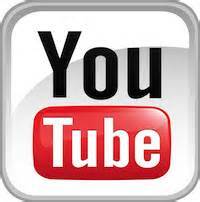 * The gestation period of a pig is easy to remember at 3 months, 3 weeks and 3 days (for a total of 114 days). * Pigs were first brought to the New World by Christopher Columbus on his second voyage in 1493, along with horses, dogs, cattle, chickens, sheep and goats. * Pigs communicate primarily through vocalizations and can make more than 20 different sounds, including oinks, grunts and squeals. 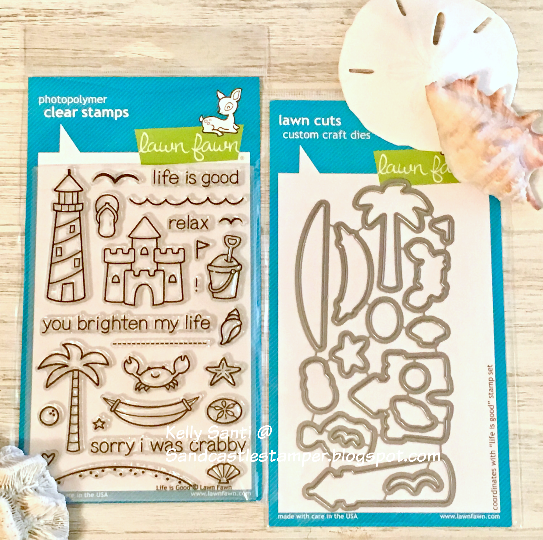 line of Avery Elle stamps that arrived at Drive By Crafts. and the fun shaker filling called Itty Bitty Shaker Fun. with momento tuxedo ink, I colored it with my prismacolor markers. from the set and the image partially again. and of course, look around in the shop for stamping goodies!